Two Little Friends Having Fun On Strawberry Farm In Summer. Feeding Each Other With Organic Berries And Spending Time Together. Cute Blond Brother Boys Eating Healthy Berries. Royalty Free Fotografie A Reklamní Fotografie. Image 36715211. Reklamní fotografie - Two little friends having fun on strawberry farm in summer. Feeding each other with organic berries and spending time together. Cute blond brother boys eating healthy berries. 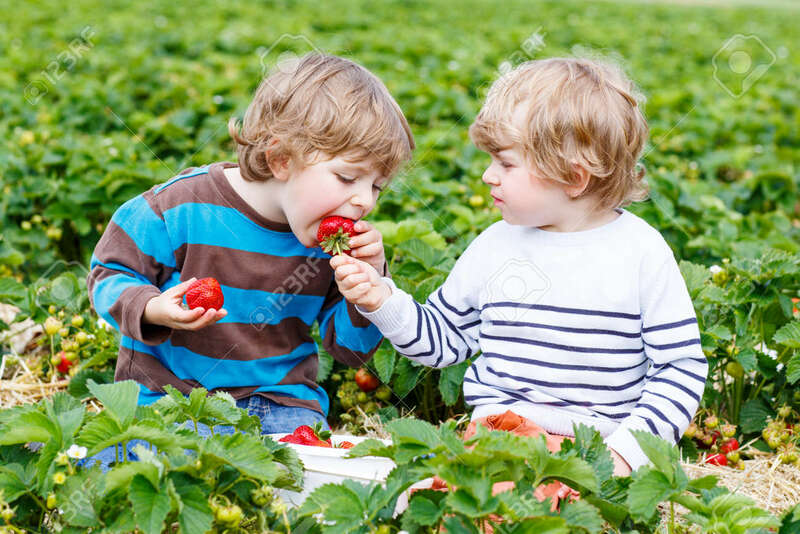 Two little friends having fun on strawberry farm in summer. Feeding each other with organic berries and spending time together. Cute blond brother boys eating healthy berries.